Two men are shown unloading a horse-drawn wagon on Centre St. at the corner with Burroughs St. City of Boston Archives. Healing Spring, Franklin Park. From Jamaica Plain Historical Society archives. 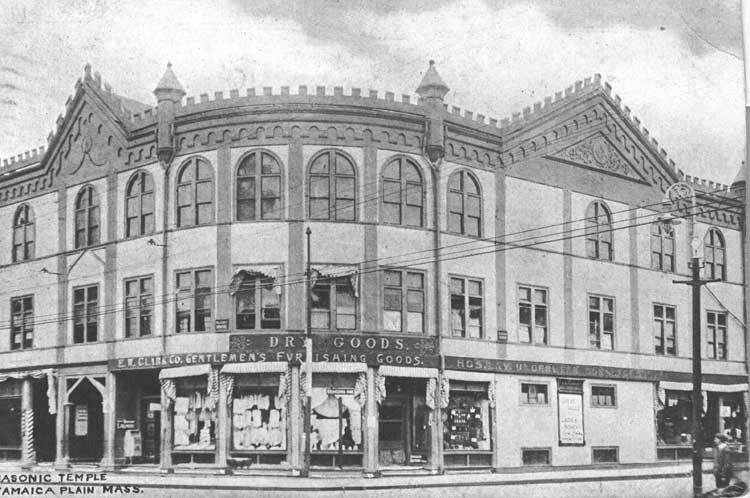 The Woolsey Block in 1895 was a four-story commercial block with Nelson's Grocery Store, the Jamaica Plain News Depot, and the West Roxbury Co-operative Bank. Courtesy of William Dillon. Looking south on Hyde Park Ave at Forest Hills. The Minton Block is shown on the left and the Morton Block is shown on the right. Photogaph courtesy of David Rooney. Blessed Sacrament Rectory. From a photo postcard showing a cancelation date of August 23, 1906. Jamaica Plain Historical Society archives. Workers at the Arnold Arboretum visitor's center at the turn of the century. Photograph courtesy of Boston Public Library. Morton Block built in 1881 at Hyde Park Ave and Washington Street. 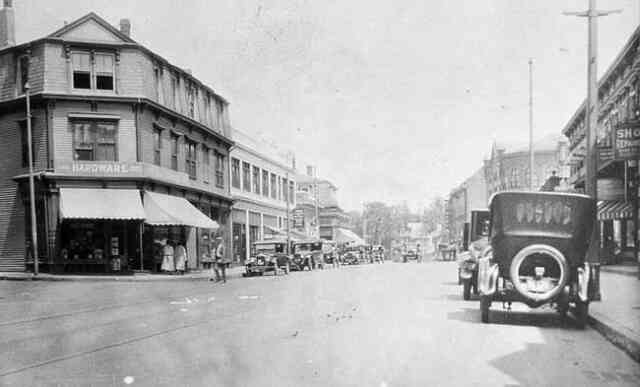 Photograph courtesy of the West Roxbury Historical Society. Parishioners leave Saint Thomas Aquinas Church after Sunday mass during World War II. The church was built in 1873 at the corner of South and Saint Joseph Streets. 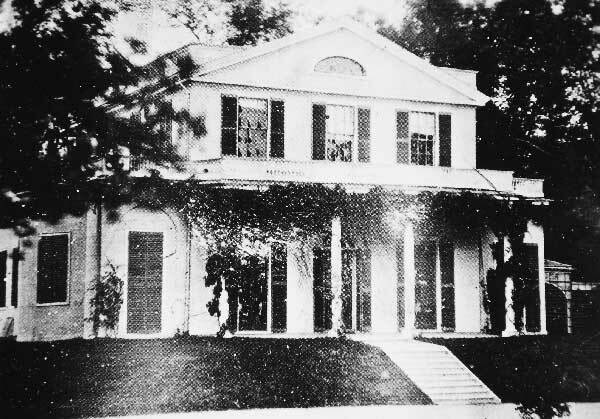 1893 view of the Lyman House (Moreland Cottage) taken by the Olmsted Brothers. Courtesy of the Frances Loeb Library, Graduate School of Design, Harvard University. One of the Adams Nervine Asylum buildings. 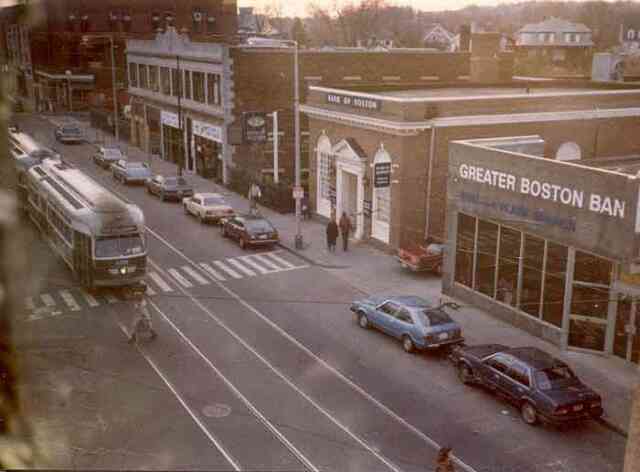 Boylston Station was located near the current site of the Stony Brook MBTA Orange Line Station. 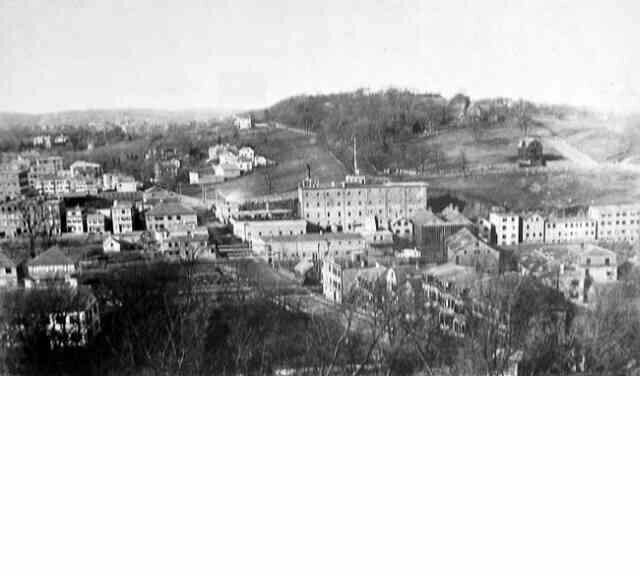 In this view of breweries and factories along the Stony Brook Valley, a portion of Mission Hill can be seen in the background. Courtesy of the Boston Public Library. 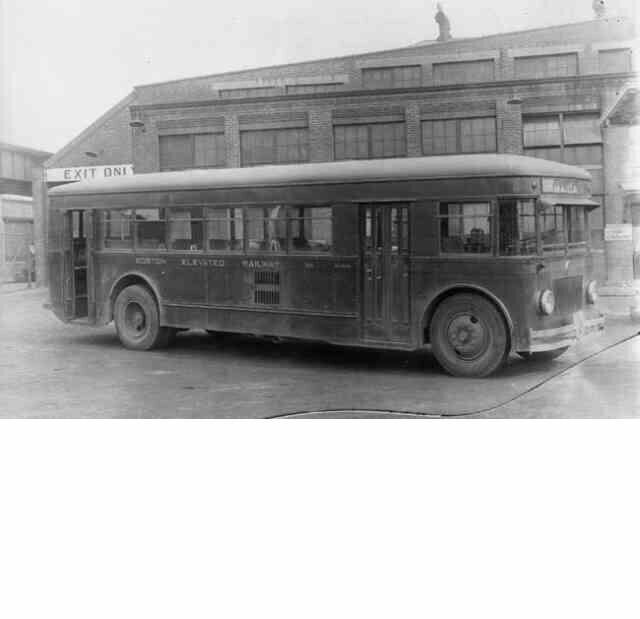 A city bus operated by the Boston Elevated Railway sits outside the Forest Hills station in 1930. Courtesy Anthony Sammarco. 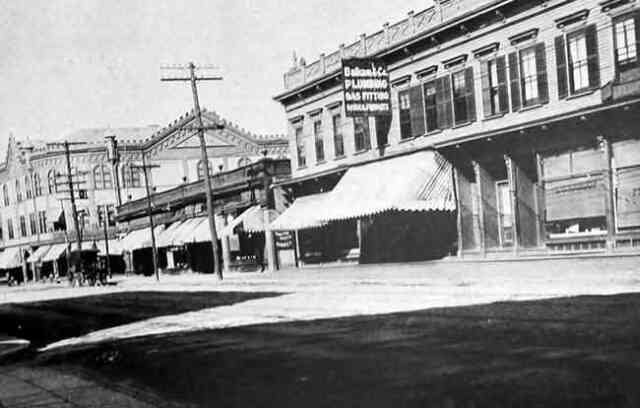 701 and 703 Centre St. at the corner with Burroughs St. At the turn of the century this building housed C.B. Rogers & Company pharmacy and it remained in that use through the mid-1970s. This 1920s view looks north on Centre St. from Burroughs St. towards Seaverns Ave. The corner building on the left is a hardware store. Courtesy of Boston Public Library. This 1980s view of Centre St. looks south from Seaverns Ave. towards Burroughs St. Courtesy of Fran Perkins. A view of Centre St. looking north towards Seaverns Ave. A plumbing and gas fitting service is seen on the right. circa 1900-1920. Courtesy of the Jamaica Plain Branch of the Boston Public Library. Oakes Provisions stood at the corner of Thomas and Centre Streets. Courtesy of Florence Oakes. 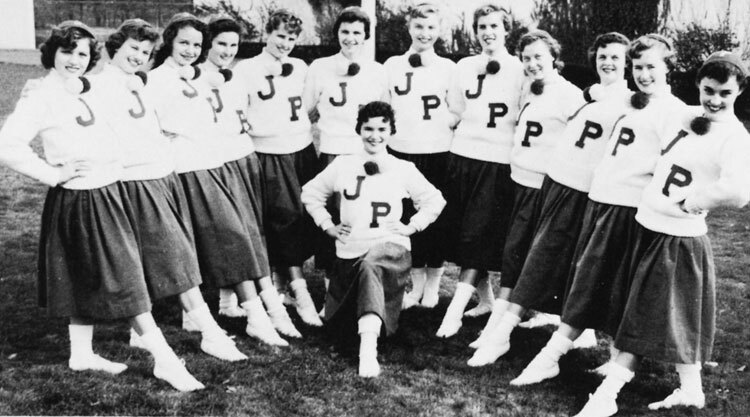 Cheerleaders of the Jamaica Plain High School in 1956. From the JPHS yearbook. 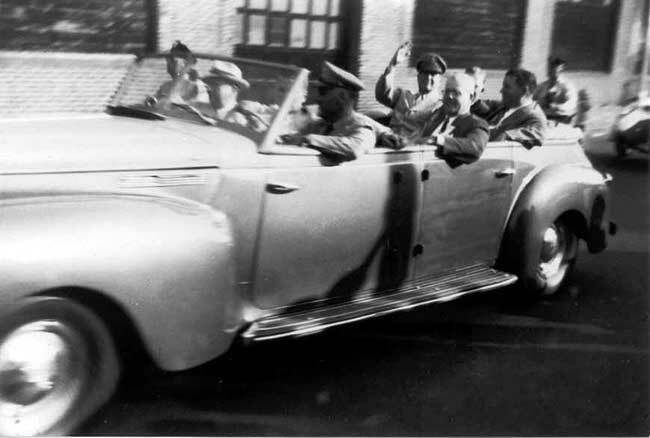 MacArthur's motorcade in 1951 on Columbus Avenue approaching Whittier Street. Photograph by Edwina Schoen, courtesy of Chuck Schoen. 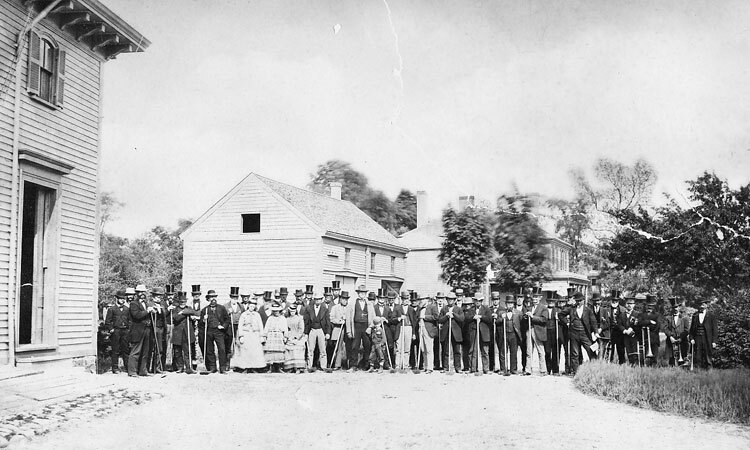 Neighbors pose at the Curtis Farm, June 4, 1873. Courtesy Martha Tyer Curtis. Men at Jamaica Pond stand with horse-drawn sleds used to move the ice to the icehouses. Photograph courtesy of the Boston Public Library. A billboard at Green and Washington Streets. At the center is a campaign poster for Andrew J. Peters for Congress. Photograph courtesy of David Rooney. A 1906 view looking down Green St. towards Amory St. Washington St. crosses in the foreground. Current addresses shown in this view run from 171 to 209 Green St.
By 1906, the Elevated Railway (the old Orange line) had reached Green and Washington Streets. Photograph courtesy of David Rooney. The Eliot School is one of the oldest, continuously running, educational institutions in the United States. 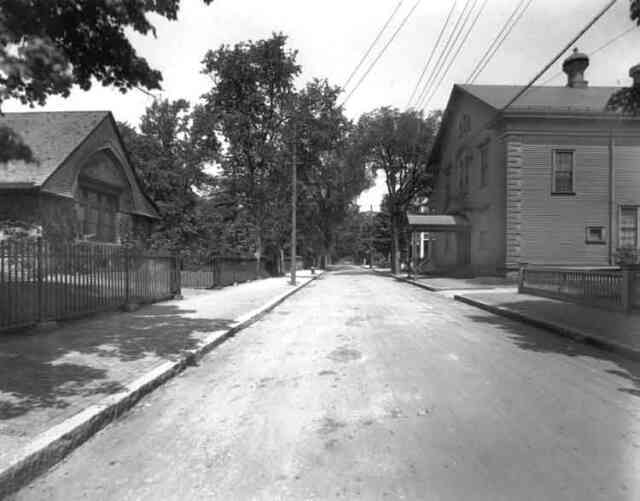 Eliot St. looking from Centre St. towards Hagar St. Eliot Hall, home of the Footlight Club is shown on the right and the parish hall of the First Church on the left. A ticket for the 100th performance at the Footlight Club on Eliot Street. This 1906 ticket requests that, "Ladies will please remove their bonnets." Morton St. overpass and the old Forest Hills Station. Late 1980s. The overpass and station at Forest Hills. The Forest Hills Orange Line station in the early 1980s shortly before it was torn down to make way for the new Orange Line. An elevated train leaves the newly completed Forest Hills station in 1908. Music students at the Perkins Institution for the Blind. Located at the corner of Pekins and Day Streets in Hyde Square, the school was founded in 1887 and served children through age nine. 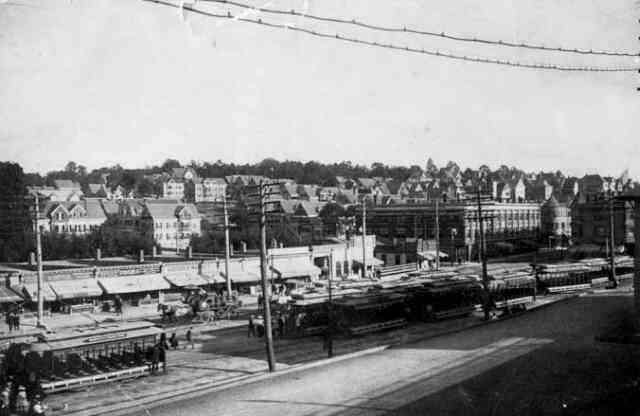 Construction work nears completion on the Forest Hills Orange Line station in 1908. The Boston & Providence Railroad station is seen on the left. 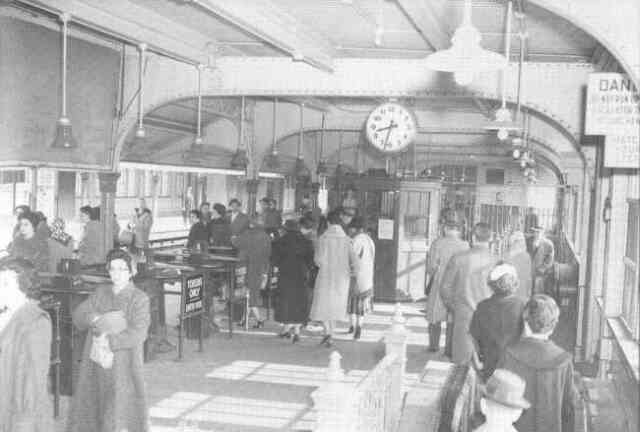 This photograph captures early morning activity inside the Forest Hills Orange Line station in 1960. Courtesy of Anthony Sammarco. 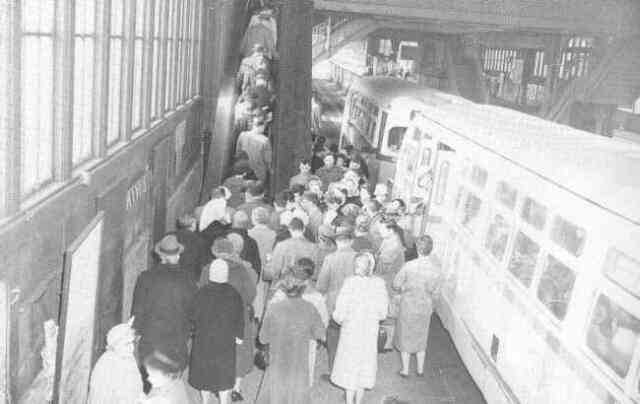 Buses unload passengers on the lower level of the Forest Hills Orange Line station in 1960. Courtesy of Anthony Sammarco. The newly opened Forest Hills Orange Line station is shown on the left in this 1987 photograph while the old station, being readied for demolition, is seen on the right. 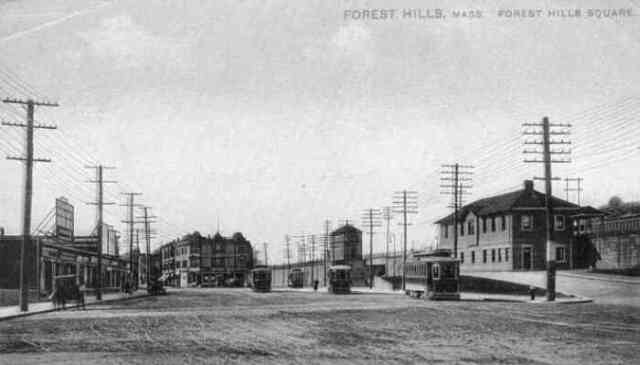 Open trolley cars, used exclusively during the summer months, fill a siding along Washington St. at Forest Hills circa 1900. The Forest Hills station of the Boston & Providence Railroad. Workers at the Haffenreffer brewery pose outside the plant along with some of their children and a pet in this 1891 photograph. Courtesy of the Boston Public Library. This early 1980s photograph shows building "P" at the Haffenreffer brewery complex just before renovations on the building began. Courtesy of the Jamaica Plain Neighborhood Development Corporation. This photograph shows two delivery men using ice tongs to hold blocks of ice cut to the proper size to fit into iceboxes. Photograph courtesy of the Boston Public Library. Jackson Square circa 1960. 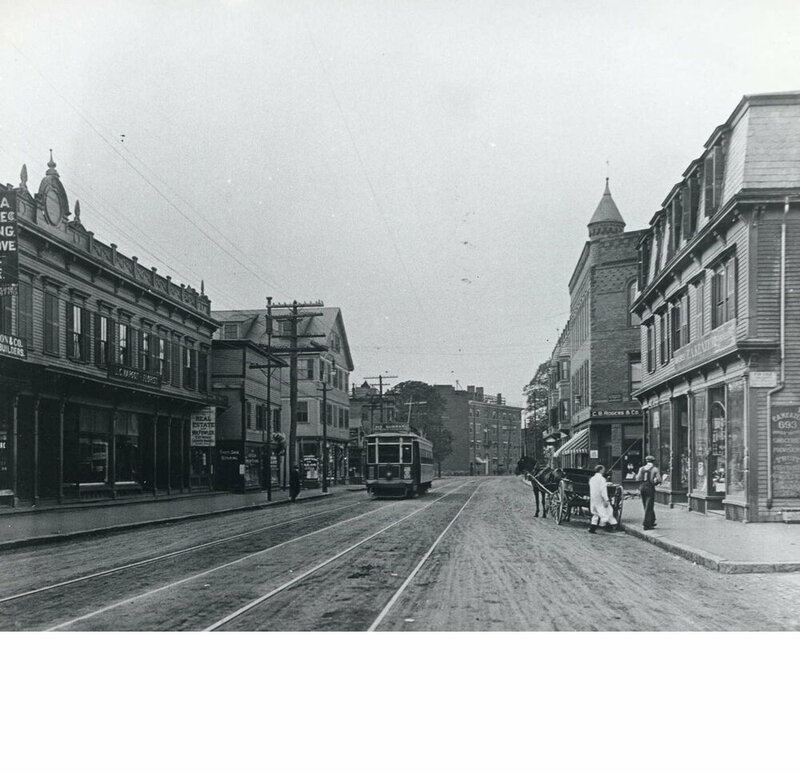 The white building at the top left of the photograph is at the corner of Lamartine and Centre Streets. Courtesy of the Jamaica Plain Neighborhood Development Corporation. Visitors to the Arnold Arboretum at the turn of the century pass by a display of mountain laurel. The Jamaica Plain High School at 76 Elm Street was built in 1900. The impressive building is designed in Tudor Revival style. Photograph courtesy of David Rooney. 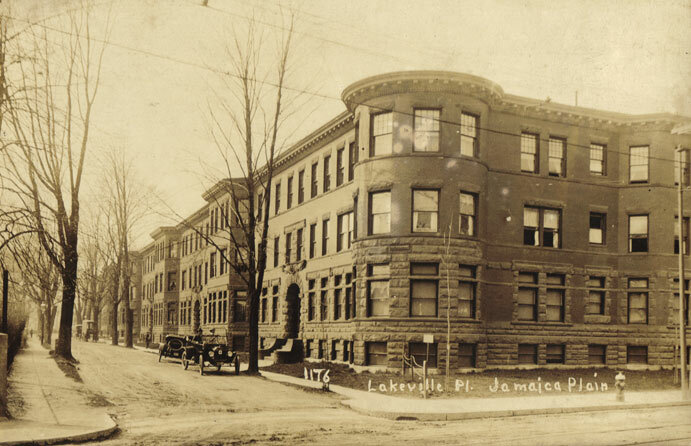 Jamaica Plain High School, 76 Elm St. 1910. 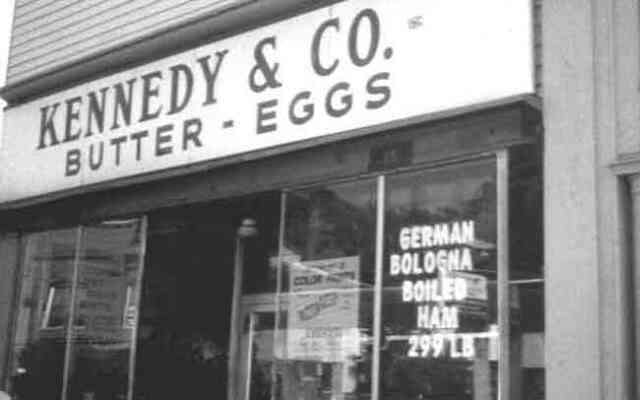 Located near the corner of Seaverns Ave. on Centre St., Kennedy's Butter and Eggs closed at the end of January 2000. 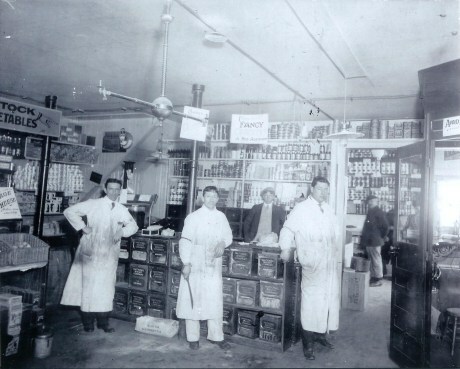 The Kennedy's chain once had more than 100 stores across New England. This hook and ladder wagon was photographed in 1885 at the corner of Centre and Burroughs Streets. The Seaverns House is visible to the left. U.S. 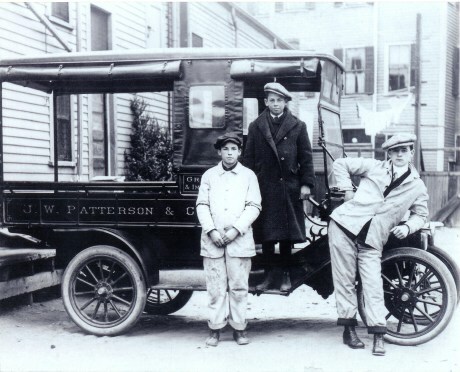 Postal Service employees pose outside the post office bulding in Woolsey Square near the current location of the Green St. Orange Line station. 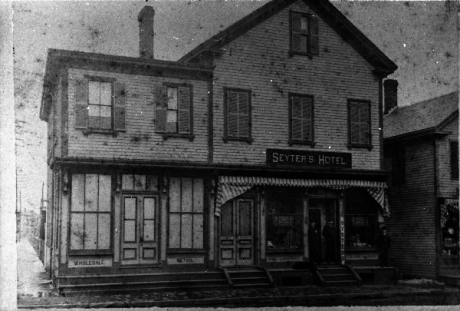 In this photograph taken at Seaverns and Centre, the Masonic Temple occupies the second floor. 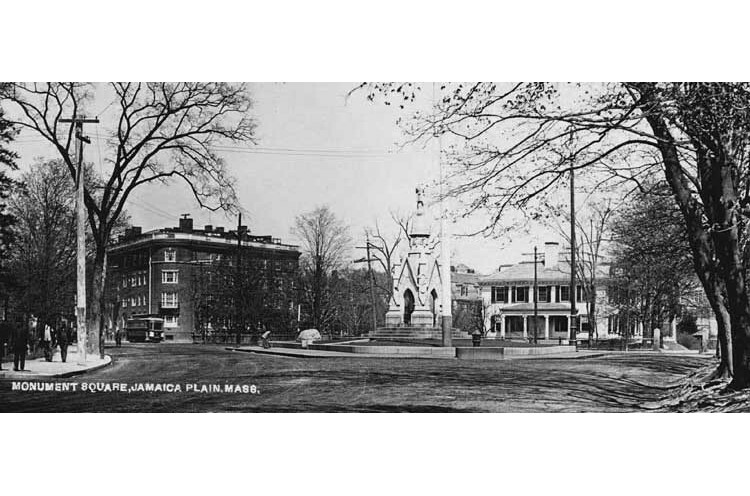 View of Monument square about 1905. 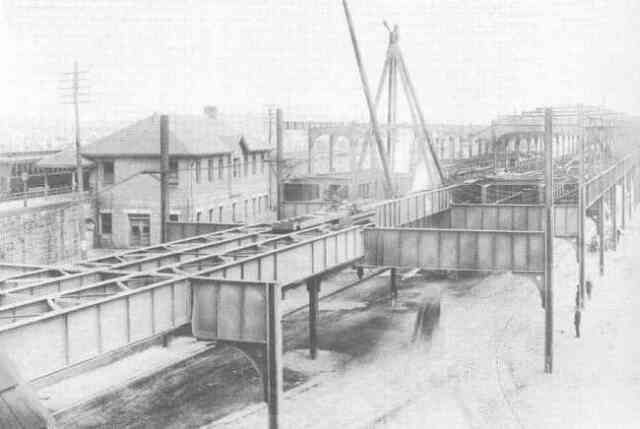 As a train travels towards downtown Boston along the Boston Elevated Railway at Forest Hills, a portion of the new Monsignor William J. Casey Overpass (Morton St.) is being constructed above. 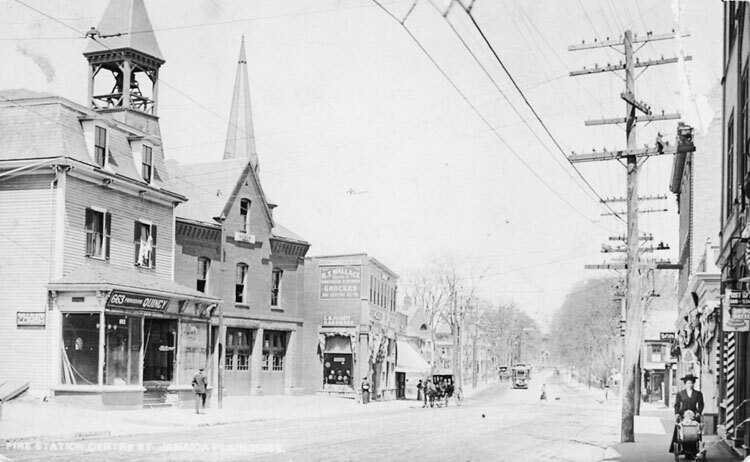 This 1885 photograph shows Centre Street between Thomas and Green Streets. Photograph courtesy of the Boston Public Library. Firemen outside of Engine Company 28 on Centre Street, near Myrtle Street in 1904. Photograph courtesy of the Boston Public Library. Two firemen pose with a horse-drawn chemical fire engine in this 1880 photograph taken at Centre and Burroughs Streets. These engines used chemicals rather than water to fight fires. A view of Centre St. looking north towards Eliot St. in 1965. Courtesy of Frank Norton. This view at Forest Hills looks north on South Street while Morton Street crosses from left to right. A 1965 view of South St. looking south from Centre St. The entrance to Curtis Hall is seen on the left. Courtesy of Frank Norton. St. Peter’s Church, once located on Paul Gore Street. 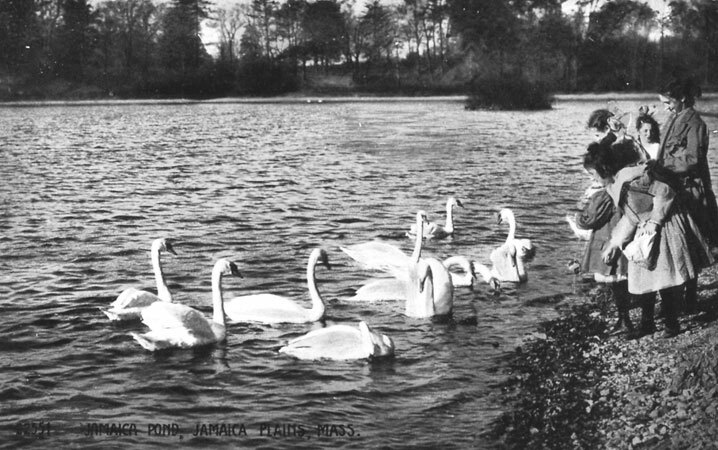 Taken from a photographic postcard in the historical society archive. Photograph taken circa 1908. The Sturtevant manufacturing plant on Amory St. between Williams and Green Streets. From the 1919 Aircraft Year Book, Aircraft Manufacturers Association Inc. Courtesy of Vincent Tocco. Workers assemble aircraft wings in the Sturtevant manufacturing plant on Amory St. 1919 Aircraft Year Book, Aircraft Manufacturers Association Inc. Courtesy of Vincent Tocco. Perkins' Cove was once located on Jamaica Pond below Pinebank. It was filled in before World War I. Car 5195, an Arborway subway car, loads passengers on Centre Street ca. 1912. A trolley at Centre and South Huntington Streets. Boys mastering woodworking skills, 1919. Photograph by Lewis W. Hine. Courtesy of the Library of Congress. Guests help with hoeing on the Curtis farm. Workmen using a pneumatic impact wrench dismantle open air trolley cars at the Forest Hills yard in 1919. Courtesy of Anthony Sammarco. This view is outside the Mary E. Curley school in November of 1963. Photograph courtesy of Paul Gill. The work from which these copies were made did not include a formal copyright notice. This work may be protected under U.S. Copyright Law (Title 17, U.S. Code), which governs reproduction, distribution, public display, and certain other uses of protected works. Uses may be allowed with permission from the rightsholder, or if the copyright on the work has expired, or if the use is “fair use” or within another exemption. The user of this work is responsible for determining lawful uses.